At the end of the nineteenth century, many people – if not most – believed intelligent life existed on Mars. Not only was the idea of smart Martians deemed conservative amongst the masses, it satisfied the more discriminating tastes of the intelligentsia too. In fact, it was as fashionable to believe in human beings living on Mars as it was to believe in levitating tables and invisible spirits rapping on wood. Such “parlor tricks” were highlights amongst the enlightened visions as well as the esoteric entertainment sought by the rich and famous. Rest assured, mentioning these two topics in the same breath – as odd as it may first sound – foreshadows the strange subject matter of this article. Given the topics of previous articles by this author in this very same “Marzulli magazine” over the past several issues, the reader might be surprised to learn that the personage most influencing this popular belief in life on Mars before 1901 was not the American, Percival Lowell. As noteworthy as his impact was on his culture of yesteryear and whose pursuits in Mars gazing were astronomical (if you will pardon the pun), it was a Frenchman named Nicolas Camille Flammarion (1842 – 1925), born in Montigny-le-Roi, Haute-Marne, France that was known far and wide, in both Europe and America, for his acumen on many matters “far out.” During his amazing career, Flammarion wrote more than 50 titles probing several esoteric domains including astronomy, science fiction and psychical research. His book, Astronomie populaire (1880) sold 130,000 copies; quite a best-seller in the nineteenth century. 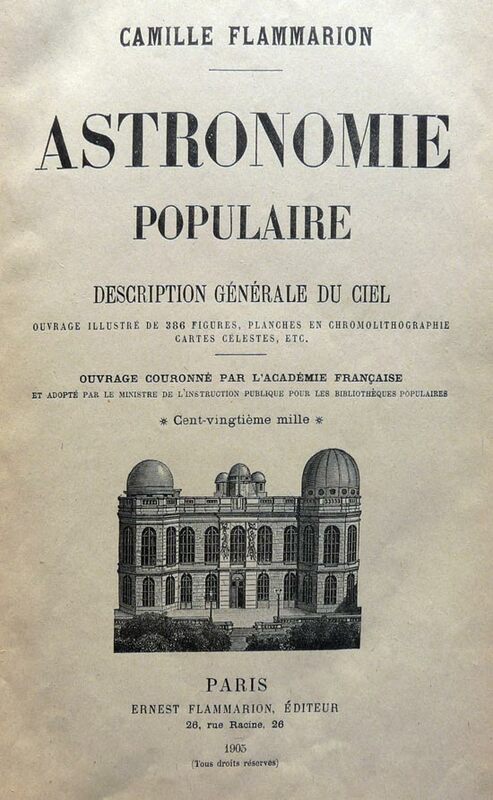 Flammarion also founded the Société astronomique de France eventually boasting 600 members. 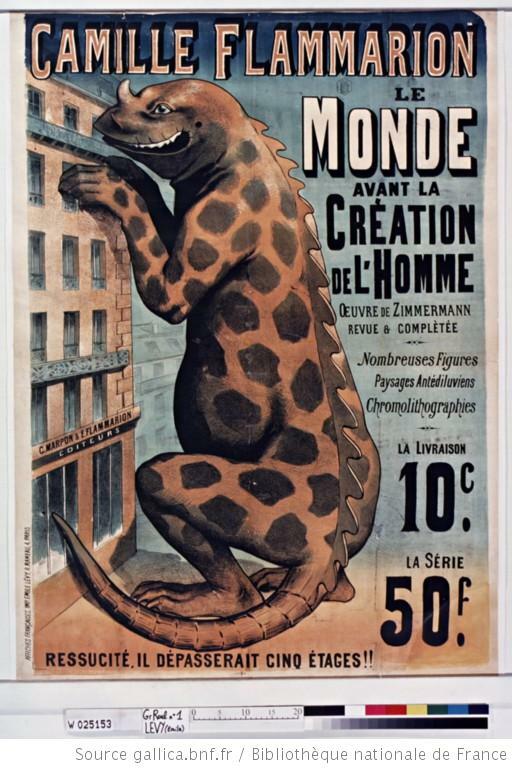 Beginning in 1882, he published the magazine L’Astronomie and became the first citizen of France in all matters of double-stars and in particular, the planet Mars. As the fervor for Mars grew in the final two decades of the nineteenth century and into the twentieth century, there was a parallel explosion of interest in telepathy, reincarnation, and theosophy that was a cosmopolitan outgrowth of the provincial spiritualist movement that had begun in New York State in the mid-nineteenth century. In an intriguing historical conjunction, the Society for Psychical Research (SPR) was founded in London in 1882, just half a dozen years after the modern phase of Martian observation had gotten underway with the events of the 1877 opposition. Three years later, the American SPR opened in New York, under the presidency of one of the harder-nosed American astronomers, Simon Newcomb, who was determined to use his position to expose spiritualism as phony science. It was not unusual for astronomers to sign up as members of either the British or the American SPR, whose lists included both committed spiritualists and more dispassionate psychical researchers. Percival Lowell – as his biographer, David Strauss, has explored in some detail – was intrigued by psychic research in his earlier years traveling in Japan, and consulted with members of the American SPR and with William James, who began a two-year term as president of the British SPR in 1894. The sequence of Lowell’s career as both a scientific researcher and a popular writer who was “drawn to exotic topics – trances and extraterrestrial life,” as Strauss has commented, itself demonstrates the links between psychic phenomena and Martiana. Lowell moved from investigating Shinto mesmerism and cases of possession, recorded in his 1894 Occult Japan, to planetary studies begun at his observatory at Flagstaff in that same year. 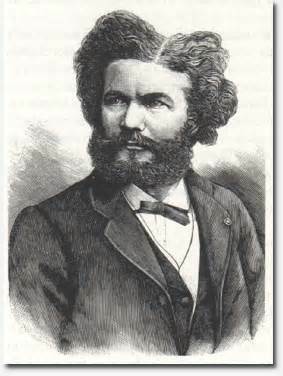 In fact, one hundred years ago, the two most popular scientific writers who engaged with questions about the habitability of Mars – Lowell in the United States and Camille Flammarion in France – both combined interests in psychic research and astronomy, although their interests in the paranormal were sharply different in nature. Like two other astronomers of the nineteenth century considered previously in these articles, Giovanni Virginio Schiaparelli (1835 – 1910) and Angelo Secchi (1818 – 1878), Flammarion was trained in Jesuit schools for most of his advanced studies. While attending school with the Jesuits, at the very young age, he garnered considerable attention writing a book entitled The Cosmogony of the Universe. Like Secchi and Schiaparelli, he was an avid believer in the “plurality of worlds.” We learn from a short biographical piece published in McClure’s Magazine (1894, written by R. H. Sherard), that his fellow Frenchman flocked to his lectures devoted to the subject. We can safely assume that attendance at Flammarion’s discourses was considerably more abundant than at church services in his home town of Paris, given the tide of public opinion in Europe had turned against Christianity as a source of answers to ultimate questions. 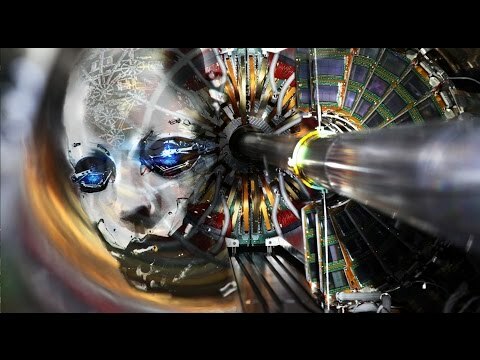 The majority of Europeans (with America about 50 years behind) looked to science (in this case science so-called and even séance) to provide insights into life’s genesis in the universe. The Most Famous Frenchman since Napoleon Bonaparte? On either side of the Atlantic, Flammarion’s acclaim amongst his contemporaries was almost unparalleled. Indeed, Camille Flammarion was considered a savant, if not a genuine legend in his own time. In fact, his book by the title The Plurality of Worlds, made Flammarion both famous and wealthy. He told American journalist Sherard, “The book is now in its thirty-fifth edition. The subject, I may mention, had been treated about a century before by (Bernard le Bovier de) Fontenelle, but in purely imaginary style. Fontenelle’s book may be described as a novel, a piece of literature, whilst mine claimed to be a scientific work.”  During winter days in Paris – from 1:00 PM for exactly one hour, his wife serving as his secretary – Flammarion conducted daily meetings with the Parisian populace (“he knew everyone in Paris”) who wished to drop by to ask his opinion on arcane issues of mutual interest. At 2:00 PM, he would spend an hour responding to several of thousands of letters which poured in from every corner of the world. In fact, it is hard to find a singular personality in today’s world that captures the imagination of the pseudo-intellectual to the extent Flammarion accomplished 120 years ago. Has it [Mars] passed its life-bearing stage? But are the survivors themselves all dead? Or is Mars yet inhabited? When not entertaining Americans enchanted with Mars, Flammarion spent summers at his observatory located at Juvisy-sur-Orge, France, looking through his telescope well into the warm French nights whenever “good seeing” allowed him to do so. Near the village of La Cour de France, some 30 kilometers (19 miles) by rail south of Paris, it was equipped with a 24-centimeter (9.5-inch) Bardou refractor. 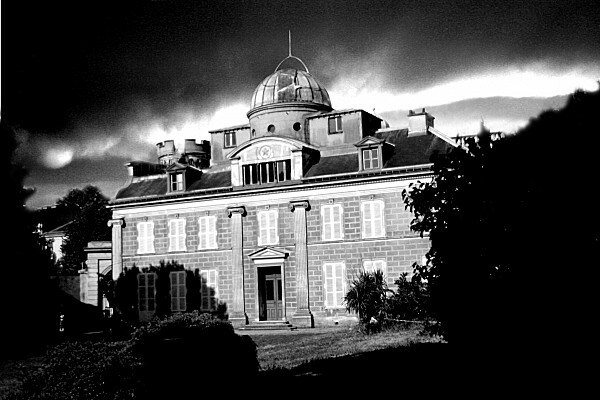 The observatory, according to authors William Sheehan and Stephen James O’Meara (whose wonderful compilation celebrates those lured to the study of Mars), was dedicated “like a temple to the planet Mars and to the proposition that it might be an inhabited world.” Flammarion’s chateau was complete with stables, servants’ quarters, and a setting reminiscent of a well-manicured park. For added color, Sheehan and O’Meara provide this bit of history of the chateau, a gift bequeathed to Flammarion by an ardent admirer! It was a site rich in historic associations; the kings of France had rested here on their journeys between Paris and Fontainebleau, and here, too, on March 30, 1814, l’Empereur Napoleon had first learned of the capitulation of Paris, an event that marked the downfall of his empire. (Later, after his return to power for the Hundred Days and his final defeat at Waterloo, Napoleon, in bitter exile on St. Helena, would present a romanticized version of his career to an attentive British ship’s surgeon, Barry Edward O’Meara” [a distant relative of the cited author O’Meara]. Like Lowell, Flammarion was strongly influenced by evolutionary theory, in particular both Darwin and by the French natural scientist Lamarck. 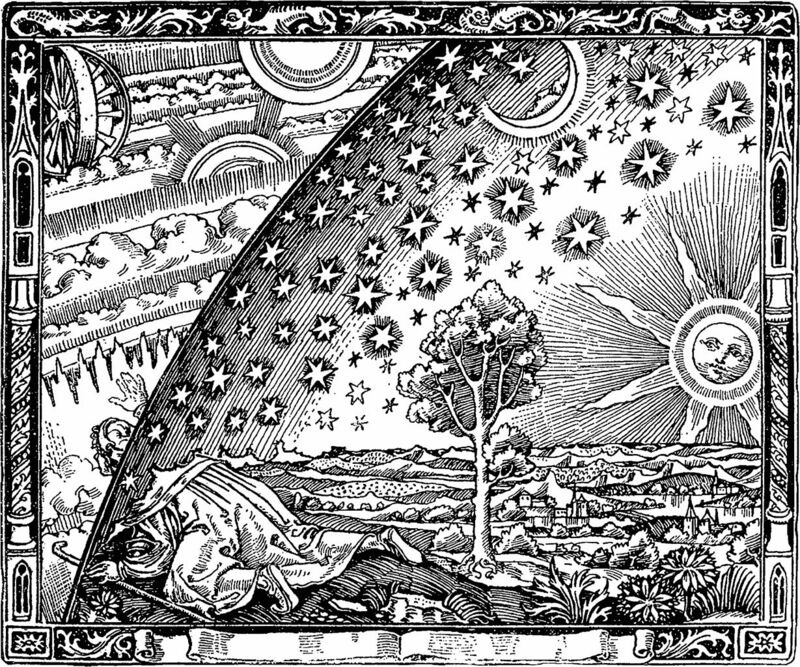 Evolution was as second nature to Flammarion as, well, the supernatural. However, the premise that captivated nearly all Martian observers proceeded from an evolutionary theory whose province was the entirety of the cosmos. This is well captured in a line from Flammarion’s Uranie where the muse of astronomy, Uranie speaks to her student non-coincidentally named Camille, whom she is taking on a tour of the universe (shades of Enoch’s global tour with his angelic escorts as recounted in the Book of Enoch): “Life is earthly on the Earth, Martial on Mars, Saturnian on Saturn, Neptunian on Neptune, – that is to say, appropriate to each habitation; or, to express it better, more strictly speaking, produced and developed by each world according to its organic condition, and following a primordial law which all Nature obeys, – the law of progress.”  Apparently even in worlds beyond earth, evolution remains worthy of esteem. In our last article, we delved into the fascination Mars held for Nikola Tesla and Guglielmo Marconi, two electrical geniuses to which our modern society owes debts beyond valuing. We discussed the unexpected possibility that both inventors utilized electrical wireless communication (otherwise known as the radio!) to dialogue with supposed intelligences on the Red Planet. It was a much more dubious supposition of writers, under the spell of Mars, to presume it possible to communicate with our counterparts on the Red Planet telepathically. This would be the ultimate “wireless” medium, if we could come to control it and put it to practical use. Speaking of mediums, it would be this class of “good seers” who would employ a psychic, mental manner of “walk about” by which Mars would be first “explored.” Thanks to spirits eager to share idyllic visions of Mars (while “happy mediums” recorded such imagined explorations through channeled automatic writing so-called), that refracted sights of Mars gathered so feebly 100 years ago by astronomers could be supplemented through psychic “seeing” – accounts delightful in detail of the Martian expanse, sporting orange or red foliage and vast emerald colored plains. 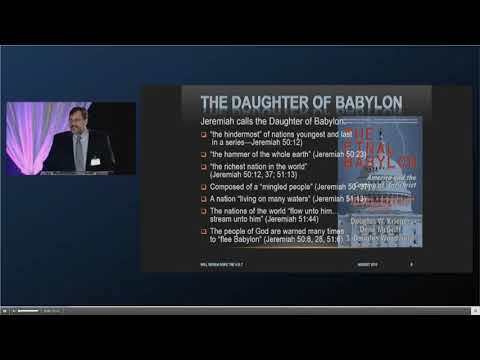 It is a numbingly tedious recital, interrupted occasionally by a statement of spiritist doctrine about the evolution of life in the solar system. One such statement by the spirit-narrator of the romance details the expectation that at some point in the twentieth century the psychic link between the spirits on Mars and terrestrial mediums will be augmented by the invention of technology for more material telecommunication with Martians. Such a prediction rested on the two-fold faith that Mars was certainly inhabited and that wireless telegraphy would soon open up Mars to exchanges of messages with Earth. The conjunction of Martian studies and the paranormal is most visible in a number of narratives published by mediums over the space of about fifty years from the late nineteenth century through the early decades of the twentieth. Psychologists and philosophers – at a time when psychology was still considered a branch of philosophy rather than a scientific discipline – were particularly drawn to investigation of séances and of the experiences and the claims of mediums, including those who offered accounts of their visions of Mars in the form of travelogues that were, de facto, works of science fiction. The most celebrated instance of the intersection of Mars and the paranormal appeared at the turn of the twentieth century, when Théodore Flournoy, professor of psychology at the University of Geneva and a psychical researcher, published Des Indes à la Planète Mars (1899), his extensive case study of a Swiss medium who called herself Hélène Smith. Smith’s supposed visionary experiences, manifested in her paintings of the Martian landscape, inhabitants, and artifacts and, centrally, in the Martian language that she spoke and wrote, attracted the attention of linguists and psychopathologists, dream analysts and surrealists. 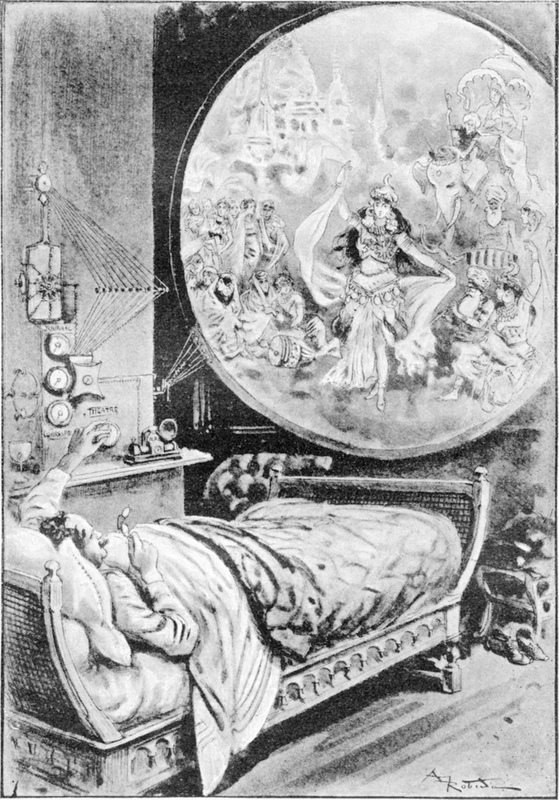 Smith’s visions and the fascination they generated can be more fully understood in the context of other narratives from the 1880s to the 1920s that combined the subject of Mars with psychic experience. 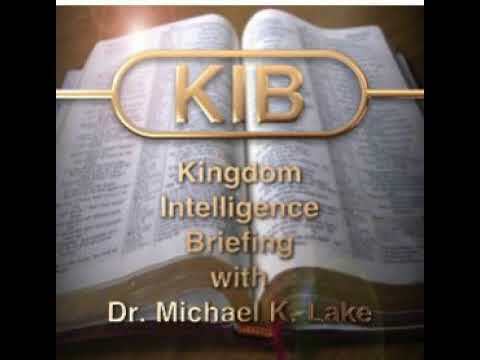 Evangelicals today (which the author calls family) are appropriately startled with so many in our world duped by the supposed surety guaranteed for their perspectives when blending would-be science with hearty doses of the paranormal. Science and the supernatural always make for strange bedfellows. Nevertheless, when we step back to take in the view we shouldn’t be all that shocked. The human race has always held a fascination for the fantastic, especially when vindicated by slipping science into the mix. Camille Flammarion was an especially key figure in the regard – his was a venture to marry questionable psychical studies with a generally scientific search for intelligent life on neighboring worlds. However, we only have enough remaining space to present little more than his rationale and his conviction that the study of psychic phenomena constitutes pure science and builds upon an honest, i.e., natural reality – not merely hopeful illusion. In his book, Mysterious Psychic Forces: An Account of the Author’s Investigations in Psychical Research, Together with those of other European Savants  (with all humility of course), the French savant provided a carefully worded treatise on the powers of the paranormal. Flammarion was cautious to distinguish himself from excesses of mediums who he indicated “don’t always cheat.” His was an apologetic effort on behalf of the preternatural. Consequently, it should be no surprise that our champion found it essential to be most circumspect in order to separate himself from the ranks of the charlatans parading around Paris at that time. Amidst discovering several fascinating new words conveying various means of deception while accomplishing this research (examples being prestidigitation and mountebanks), this author deems Flammarion was adequately acquitted of the sharp castigation by a New York Journalist who referenced him as “Flimflammarion.” He sought to explore the mysterious in the name of science – and not expressly to sell books nor make money at the public’s expense. As additional justification, Flammarion recounted the familiar (but frustrating reality) of scientists who shun new discoveries because they don’t fit “their model” of what is truth. In this matter the history of the steam engine was put to good use. When he passed through the streets of Baume-les-Dames, his appearance was the signal for jests innumerable. He was dubbed ‘Jouffroy, the Steam Man’ (‘Jouffroy-la-Pompe’). Ten years later, having built a pyroscaphe [literally, fireboat] which had ascended the Saône from Lyons to the island of Barbe, he presented a petition to Calonne, the comptroller-general of finance, and to the Academy of Sciences. They would not look at his invention! On August 9, 1803, Fulton went up the Seine in a new steamboat at the rate of about four miles an hour. The members of the Academy of Sciences as well as government officials were present on the occasion. The next day they had forgotten all about it, and Fulton went to make the fortunes of Americans. However, we must close now by reinforcing once more the sacrosanct link between Martian and psychical research – so common at the end of the nineteenth century. Robert Crossley’s summary of Flammarion’s book, Urania (1889) serves our purpose well in this regard. Of all the works of fiction that incorporate spiritualist structures or motifs, none was as influential as Flammarion’s, for the obvious reason of his dual status as an astronomer and a popular writer. Because Flammarion was so attached to his theories, both on the habitability of the planets and on reincarnation, his fiction is extraordinarily didactic and autobiographical, as much personal essay as narrative. 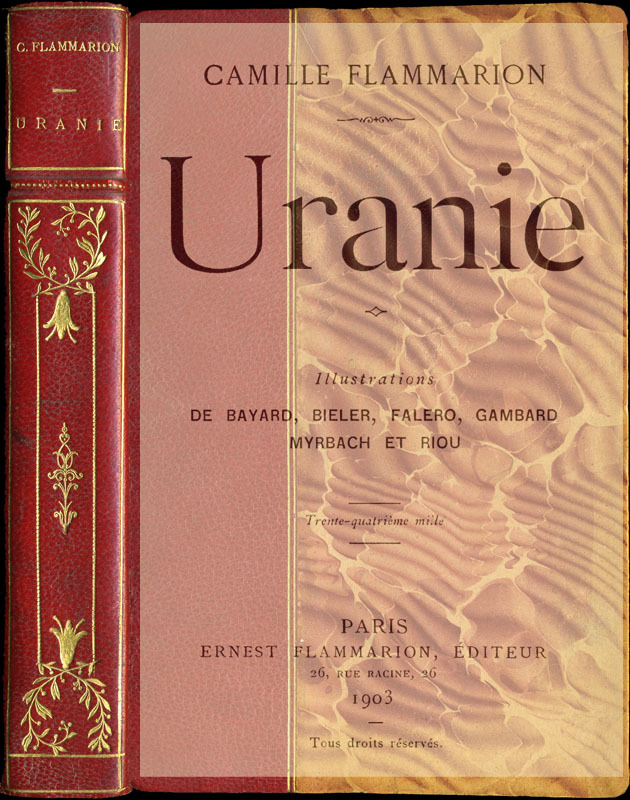 Uranie, published in 1889 and translated into English in the following year, is named for the muse of astronomy. A summary of the organization of this book may suggest how stubbornly the author seeks a seamlessness between astronomy and parapsychology and between romance and fact. In this final evocative statement from Flammarion, one can scarcely find a more syrupy, albeit salvific passage promoting the power of science (combined with human reckoning as willing accomplice) to solve all humankind’s ills. But such is the stuff that dreams are made of – especially dreams dreamt up by a savant awash in his own worldly wisdom. Given the implications of the teachings of such an esteemed and learned man as Flammarion, one is given to wonder not so much if Mars boasts intelligent life, but whether the best and brightest on this planet, apart from the enlightenment gained through biblical revelation, are themselves deserving of such an affirmative attribute. For in our fallen state, humankind invents all manner of misunderstanding and misconception – much to our eternal peril. Crossley, Robert, Imagining Mars: A Literary History, Wesleyan University Press. Kindle Edition, (2010), pp. 129-130. The connection between the Jesuits and astronomy continues to abound today. As pointed out in the article devoted to Lowell, today’s Jesuits occupy the Graham Observatory outside of Tucson, and busy themselves with Project Lucifer. 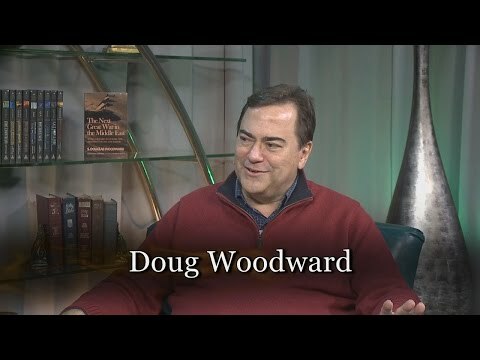 Cris Putnam and Tom Horn’s most recent book, Exo-Vaticana explores this relationship and its somewhat frightening implications. Cosmogony is the study of the origin of the universe. R. H. Sherard, Flammarion “The Astronomer: His Home, His Manner of Life, His work,” McClure’s Magazine, 1894. Regarding Fontenelle, “Fontenelle established a genuine claim to high literary rank; and that claim was enhanced three years later by what has been summarized as the most influential work on the plurality of worlds in the period, Entretiens sur la pluralité des mondes (1686). He wrote extensively on the nature of the universe: Behold a universe so immense that I am lost in it. I no longer know where I am. I am just nothing at all. Our world is terrifying in its insignificance.” See http://en.wikipedia.org/wiki/Bernard_le_Bovier_de_Fontenelle . However, Flammarion would publish something of a novel in Uranie; however, given his stated hatred for novels, his attempt at fiction was justified only if he could teach science to his readership through this literary tool. The transmigration of souls finds expression in Plato. Ibid., p. 515, quoted by Sheehan and O’Meara, ibid., p 138. Good seeing is a phrase used by astronomers when the atmosphere cooperates and doesn’t blur their view of heavenly objects. William Sheehan & Stephen James O’Meara, Mars: The Lure of the Red Planet, Amherst, New York: Prometheus Books, 2001, p. 122. Camille Flammarion. Urania , Kindle Locations 186-188. Originally published by Estes and Lauriat, Boston, 1890. Robert Crossley mentions how this was taken to an unbelievable extreme in Henry Gaston’s 1880 book Mars Revealed. Mars Revealed, like many of its later paranormal brethren and like earlier “fantastical excursions,” offers a hodge-podge of utopian vignettes of communal life, spiritualist propaganda, earnest moralizing, highly colored sentiments and descriptions, and unintended farce. Utopian hygiene and grooming tumble into this latter category when we hear that Martians “give their teeth and mouths a thorough cleansing” each morning and “comb their hair, as do all decent people on the Earth.” Men and boys, we are reassured, “part theirs upon the side, like all men of sense on Earth” (200– 201). Crossley, Robert, op. cit., pp. 133-134. Camille Flammarion, La Planete Mars, vol. 1, p. 591. Cited by Flammarion, p. 510, quoted by Sheehan and O’Meara, p. 131. Crossley, Robert, op cit., Kindle Locations 3211-3223). Originally published in Boston by Small, Maynard, and Company in 1909, through the University Press of Cambridge, MA. The frontispiece includes an instructive epigraph by Victor Hugo: “A learned pedant who laughs at the possible comes very near to being an idiot. To purposely shun a fact, and turn one’s back upon it with a supercilious smile, is to bankrupt Truth.” Let that be a lesson to all those who scoff at psychic phenomenon! “But all mediums, men and women, have to be watched. During a period of more than forty years I believe that I have received at my home nearly all of them, men and women of divers nationalities and from every quarter of the globe. One may lay it down as a principle that all professional mediums cheat. But they do not always cheat; and they possess real, undeniable psychic powers.” Camille Flammarion. Mysterious Psychic Forces / An Account of the Author’s Investigations in Psychical / Research, Together with Those of Other European Savants, Kindle Locations 337-339. Camille Flammarion. Mysterious Psychic Forces / An Account of the Author’s Investigations in Psychical / Research, Together with Those of Other European Savants, Kindle Locations 158-161. Here he is quoting from his earlier work as mentioned in my narrative. Prestidigitation is another way of expressing sleight of hand, specifically in the performance of magic tricks. A mountebank is a person who seeks to deceive others to take their money, i.e., a charlatan. Ironically, mountebank also has an historical meaning of a person who sells patented medicines to the public! It was actually showcased in a cartoon of Camille Flammarion as Flimflammarion, by Gordon Ross, from the illustrating of F[inlay] P[eter] Dunne, “Mr. Dooley Reviews the Year 1906,” New York Times Magazine, 30 December 1906, 19; found by Crossley in the scrapbooks of Percival Lowell. Quoted from Crossley, Robert, op. cit., p. 133. Camille Flammarion. Mysterious Psychic Forces, Kindle Locations 215-221. Yet another word peculiar to the realm of magic and deception, meaning originally light of hand (as is light weight), but specifically the use of one’s hands when performing conjuring tricks. From Flammarion’s Uranie, p. 166, quoted by Crossley, ibid., pp. 135-136.